I am interested in 315 Lakeshore Ct, Saskatoon, SK. 315 Lakeshore Ct is a 2400 square foot House for sale in Saskatoon, SK S7J3T6. 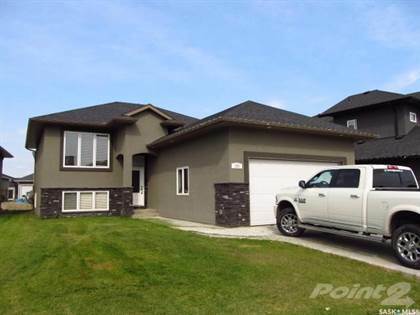 It has 4 beds, 4 baths and was listed on Ovlix.com since March 19, 2019 by Realty Executives Saskatoon for $550,000. Listing agent: Jeff Kwochka. The average price for similar 315 Lakeshore Ct real estate listings - $576,525 which is 30% higher than $405,819 for Saskatoon, and 50% higher than $299,061 for Saskatchewan. Comparable nearby homes are: 1310 14th St E, 107 Snell Cres, 802 Idylwyld Crescent, 443 Rogers Court, 18 Rutter Cres. What's near 315 Lakeshore Ct, Saskatoon S7J: Lakewood Suburban Centre, Saskatoon, Lakeview, Saskatoon, St. Luke School, Evan Hardy Collegiate, Horizon College & Seminary, Fuddruckers, Holliston, Saskatoon, Holy Cross High School (Saskatoon), Lakeridge School.